For property seekers, Chbar Ampov offers various affordable villa options, outside the priciest neighborhoods of Phnom Penh. Chbar Ampov is seeing lots of new developments shoot up, increasing the average quality of properties available hugely. The villa options in Chbar Ampov really provide something for everyone, and any budget. Buying a villa in Chbar Ampov is easy on Realestate.com.kh - whatever you are searching for, Realestate.com.kh is the perfect choice for you when it comes to diversity and price. Realestate.com.kh takes pride in ensuring against online marketing swindles by connecting customers with the most qualified and reliable individuals and companies. Our attentive real estate experts will answer any questions regarding our service or existing properties. 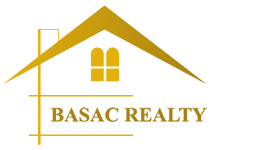 Beside the listings, our website offers valuable knowledge on local and global real estate conditions to the sellers and buyers through our blog section. Your dream residence or office place is just a simple click away. Find your villa in Chbar Ampov, and Realestate.com.kh will take care of the rest. Check out some great resources on Realestate.com.kh in our Location Profiles and Investor Guides: Learn more about Cambodia, Phnom Penh, Siem Reap & Sihanoukville. Learn more about Investing in Cambodia, Foreign Ownership in Cambodia & the Cambodian Expat Experience!